Helping scientists realize their discovery dreams, and using our expertise to empower them. We're stepping up to ask people to join Adaptive Biotechnologies Corp. in fighting cancer. Cancer has taken too many lives and is threatening too many more. We’re learning, but need to learn faster. Research is that path to discovery and understanding. Please join us in this fight. Ride with us, donate to our rides, and tell others about Obliteride! 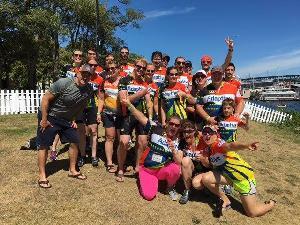 Because while riding Obliteride might be hard, it’s nothing compared to fighting cancer!